A rectangular wooden box, the lid decorated with a circular reserve and EIIR monogram. 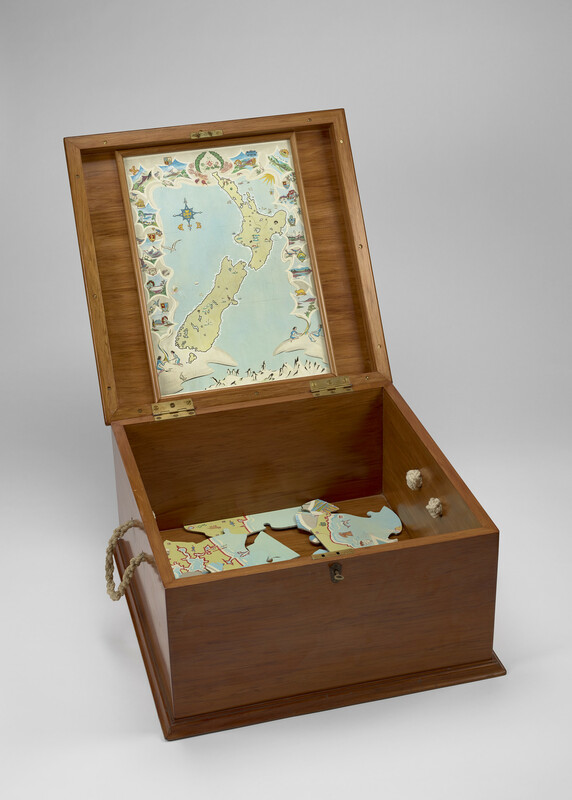 The box opens to reveal a wooden jigsaw puzzle and a handpainted map with the puzzle image. The box also contains a log book of the journey of puzzle and scrapbook.